Here’s my second mini-article featuring favourite parts of the Permacultrue Design Course. It’s easy to not think about soil too much – what is there to know? It’s brown and sticky and plants grow in it. Anything else?? I have grown to love and appreciate soil in recent years. It is one of the most undervalued resources and we’re in great danger of destroying it. Soil is highly complex, has taken thousands of years to make, is home to almost unbelievable amounts of micro-organisms and is absolutely vital to all life on land. Without it, we would have no trees or plants, and without them there wouldn’t be any animals. If the soil is healthy, it will also be chock full of micro-organisms – millions in every handful. 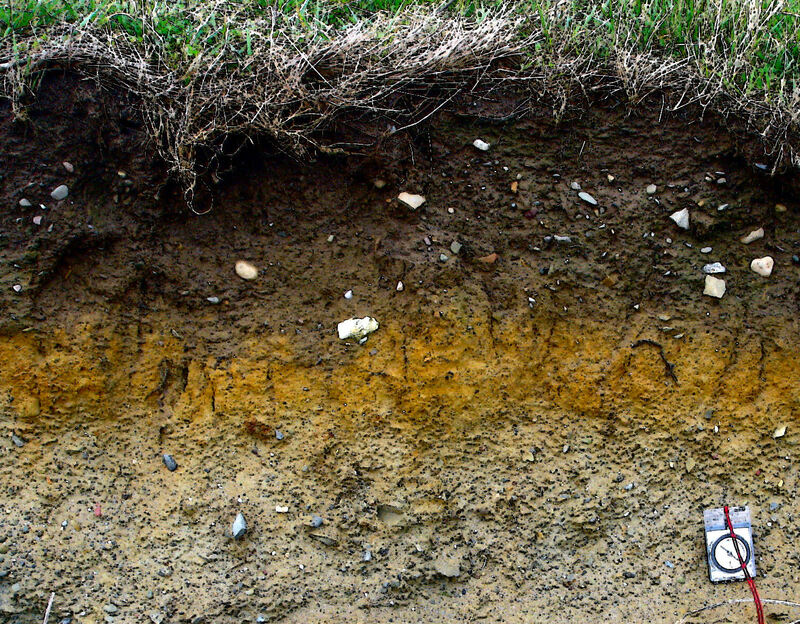 Soil is getting made all the time, but soil erosion is a massive, modern problem. Mechanised farming exposes our soil to rain and wind, washing it down rivers into the sea. In North America, an estimated 1/3 of all top soil is now at the bottom of the oceans. Permaculture can provide methods of producing food which build soils rather than depleting them – essential skills for a sustainable future. Intro course Jan 17-18 2015 in Edinburgh. 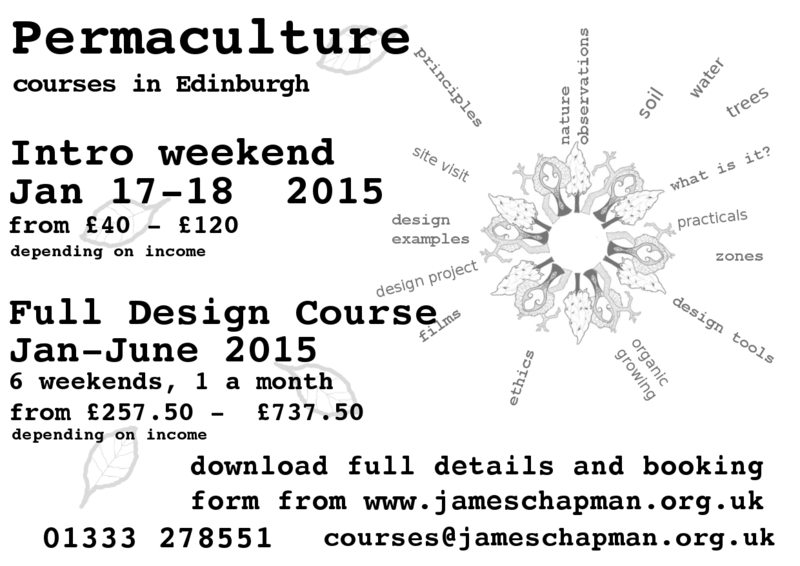 Full course Jan-June (1 weekend a month) 2015, also in Edinburgh. 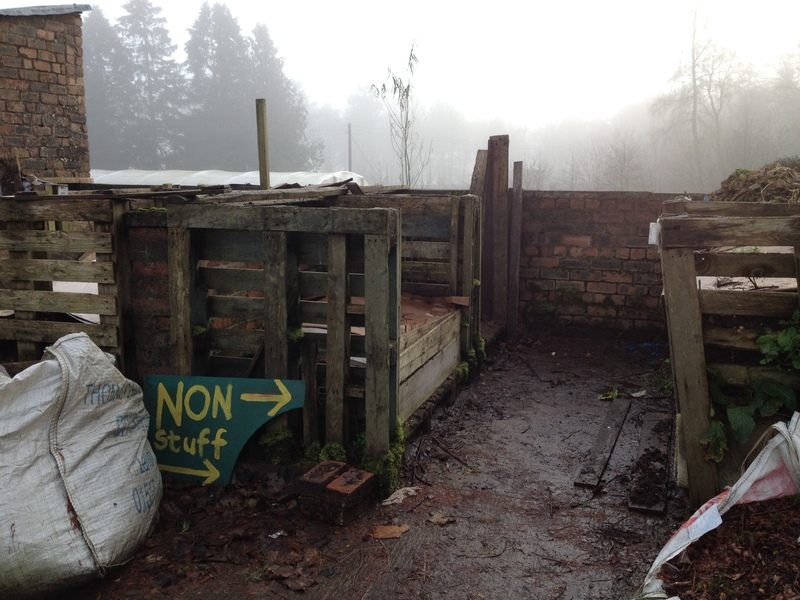 Join us in Edinburgh for an Introduction to Permaculture on 17 – 18 January 2015, and find out. The intro weekend also doubles up as Module 1 of the Full Permaculture Design Course, a twelve day course (six weekends over six months, Jan – June) which is accredited by the Permaculture Association Britain, which means you will get a certificate on completion. As well as a certificate, you will also get to meet some interesting like-minded folk; share stories & experiences; go on site visits and see how we can create abundance when we work with nature; have tasty pot luck lunches; remember what you already know , intuitively & instinctively; start consciously designing for a lower carbon life; fully embrace all of that NonStuff – have fun; and then…. you will know, what permaculture means for you..
Over the next few weeks I’m going to write some miny-articles about my favourite bits of the Permaculture Design Coruse. This week I’m looking at Trees and Woodlands. 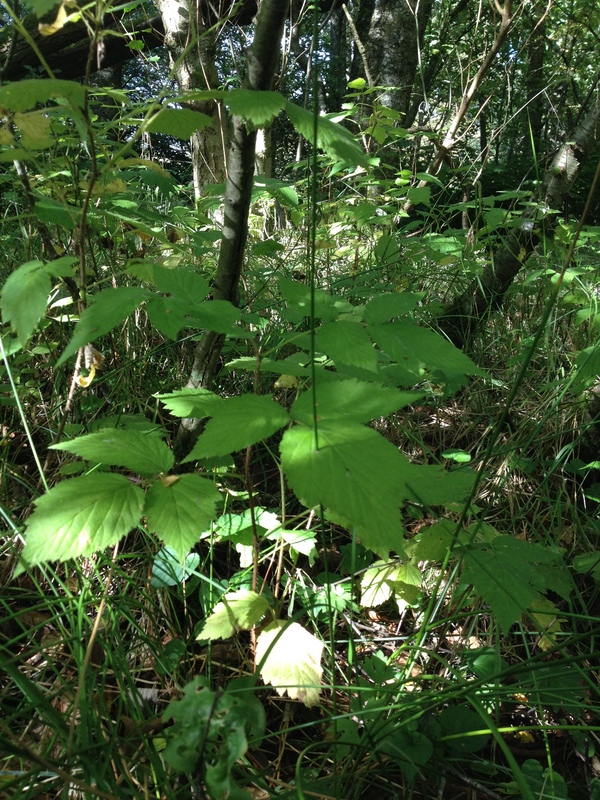 Native, broadleaf woodlands provide a lot of inspiration to permaculture designers. They are a very good example of a system which is “truly sustainable”. With a bit of sun and rain, a woodland can provide all it’s own needs and produce a surplus for re-investment. Seeds can start off a whole new woodland and the soil is improved through all the rotting leaves and timber. Woodlands are also great at fitting a lot of different species into a small amount of space. 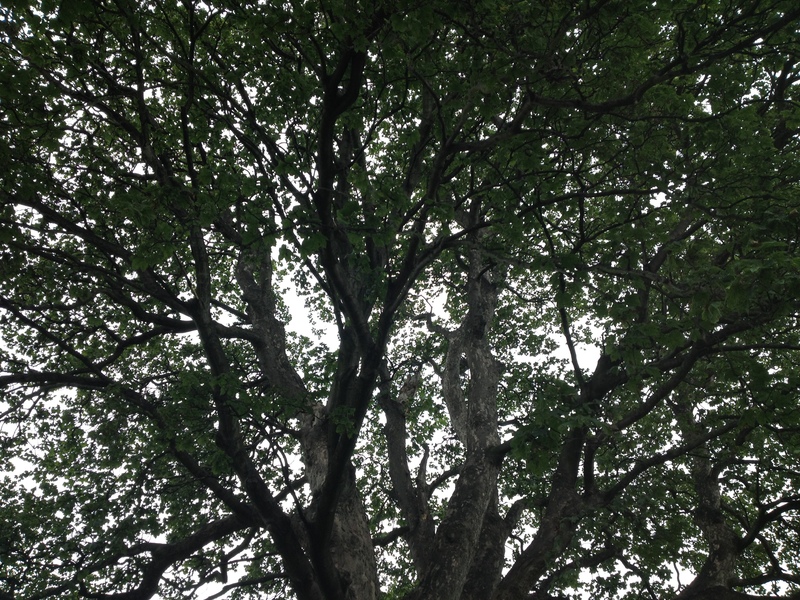 They do this by working in different layers; The canopy, under storey, shrub, herbaceous, and mycorrhizal layers all add up to a very complex, high density habitat. These layers directly inspire forest gardens which are very complex, high density food producing habitats. A forest garden uses the same layers as a broadleaf woodland, but swaps all the trees and plants around to species which provide more food for us. Every year the course visits Graham Bell’s forest garden which was planted nearly 20 years ago. 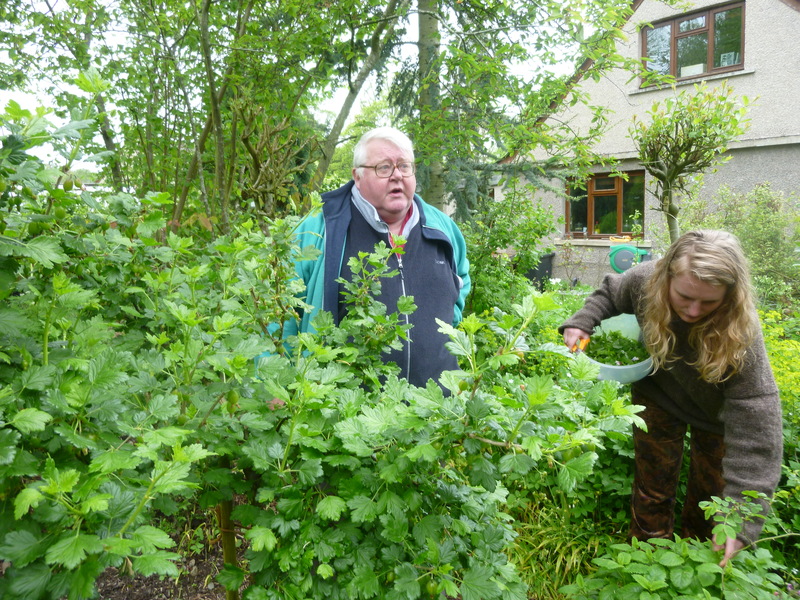 It is amazingly productive and requires minimum work – perfect permaculture in action. Click HERE for full course information. 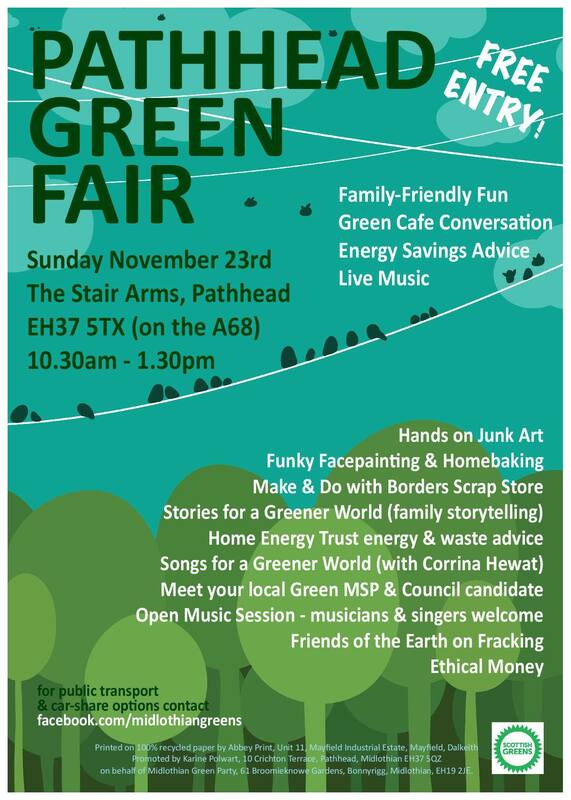 The Forgotten Works are performing at this great green party fair on Sunday 23rd Nov. 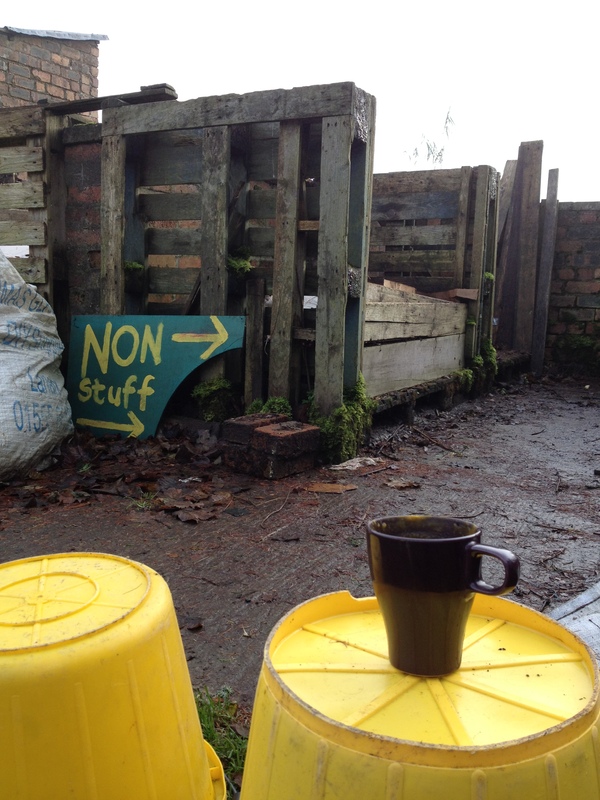 Some NonStuff escaped from the festival and has been spotted near the compost heaps at Wiston Lodge. 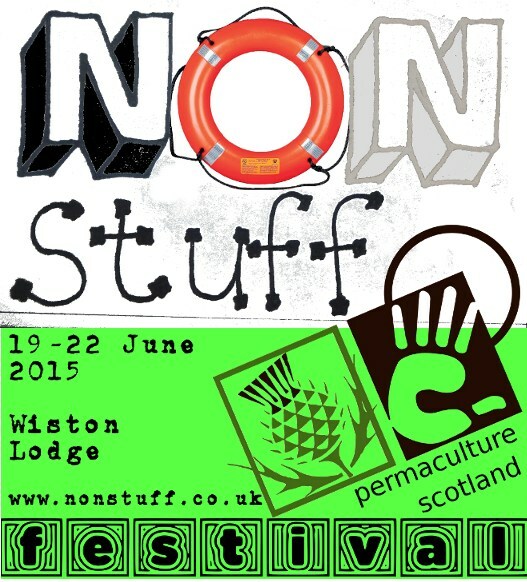 Anyone wanting to join the NonStuff mailing list for news on festivals, permaculture courses, the forgotten works and events? Booking details will be confirmed later, but stick those dates in your diary. We will be doing a shout-out for Workshop facilitators, musicians, artists, creative souls and entertainers soon! !